D.R. Harris Arlington Shaving Cream Trial Size 15g. 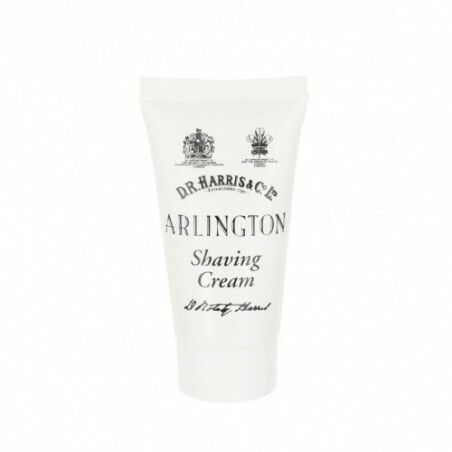 D. R. Harris Arlington Shaving Cream is the very best 'Luxury Lather' concentrated shaving cream, lightly fragranced with Arlington, a classic blend of citrus and fern. All D. R. Harris shaving creams are top quality concentrated cream with a high proportion of glycerine for an extra soothing and moisturising shave. This rich formulation will not dry the skin. Wet the beard with warm water and lathered up with a good quality shaving brush.